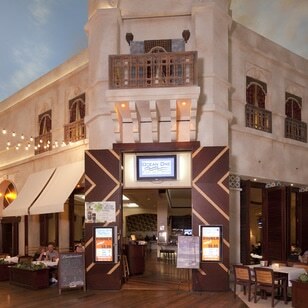 Ocean One Bar and Grille serves Seafood and Grill favorites in The Miracle Mile Shops at Planet Hollywood Las Vegas. Ocean One in The Miracle Mile Shops at The Planet Hollywood Resort in Las Vegas is an upscale yet casual Bar and Grille that serves fresh Seafood and American Grill classics along with fruit infused Martinis. The casual yet upscale restaurant is a Las Vegas locals’ favorite where many people gather for after work drinks and food because of their high quality cuisine and drinks available at some of the best prices on The Strip. 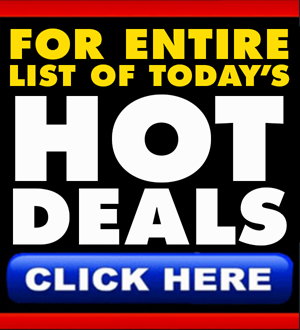 The restaurant offers three for one all day happy hour specials that make it an unbeatable deal. The restaurant’s starters include Classic Crispy Calamari, Glazed Chicken Wings, Shrimp Cocktail, Sesame Seared Tuna, Jumbo Lump Crabcakes, Warm Goat Cheese Salad, and Island Salmon Salad in Mango Vinaigrette. Fresh seafood specialties include Miso Glazed Salmon served with Stir-fried Bock Choy, Caribbean Mahi Sandwiches with Avocado and Mango Habanero Aioli, Teriyaki Seared Tuna, Blackened Tilapia, and Shrimp Fra Diablo Pasta, while grill favorites include Brick Oven Pizzas, Double Cut Pork, Grilled Chicken Breast, Filet Mignon, Cajun Chicken Alfredo, and a Half Pound Sirloin Burger. Ocean One’s bar is always packed with people, which is stocked with a great selection of cold beers, smartly selected wines, and top shelf liquors, but their most popular attraction is probably their signature cocktails. Mixed with fresh fruit, their cocktail selection includes the frozen Pina Colada, The Almond Joy Martini, or the tropical Blue Hawaiian. With its upscale yet relaxed vibe, fresh seafood and grill favorites, fruit infused Martinis, and all day happy hour deals, it’s no wonder that Ocean One is such a popular choice for Las Vegas locals. 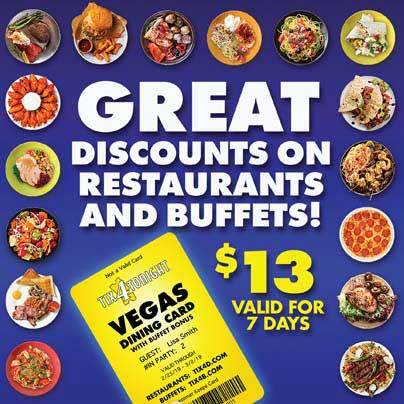 *Exclusions – Valid for Dinner 5pm to 11pm. Not Valid on Alcohol, Specials, or 3 for 1 Drink Specials. 18% Auto Gratuity added to all parties.